A beer tasting, and bonsai workshop?! Yes please! 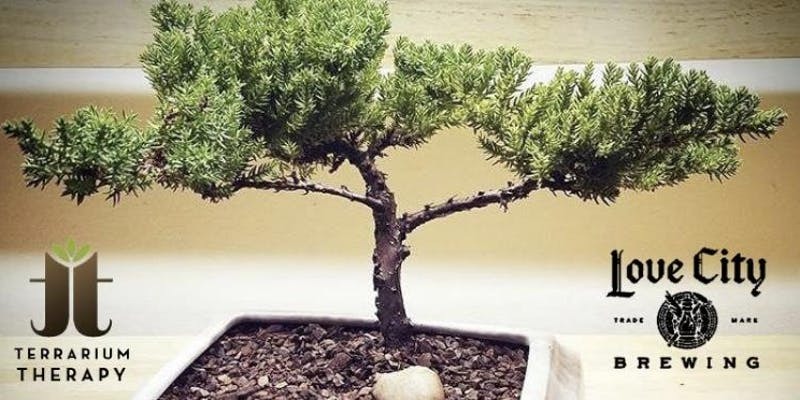 In this fun and educational workshop, attendees will plant and create their own bonsai display to enjoy for years to come. Workshop fee will include: a healthy juniper, landscape with decorative rocks, one six inch ceramic pot as well as a beer flight from Love City Brewing Company! Come discover the art of bonsai as you create your very own landscape. Event begins at 7pm, you are welcome to BYOF (bring your own food).